EnviroSolutions remediated a leaking underground storage tank (LUST) site in slightly over one and a half years (19 months). Free product, 6 inches thick, extended over 1,200 square feet. In addition, the contaminated groundwater plume extended over 14,000 square feet. EnviroSolutions installed a remediation system that included a mobile combustor, custom manufactured by EnviroSolutions. The combustor vacuumed liquids and vapors from the ground, burning the vapor contaminants and discharging clean treated air. The system also separated the recovered groundwater and vapor, treating and discharging the groundwater into the sewer system. Sampling of monitoring wells indicated the system removed all of the free product and reduced the extent of contaminated groundwater by 85% in 19 months. The free product was removed from the site and all associated hazards were abated. 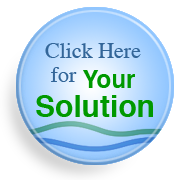 EnviroSolutions moved the remediation system trailer to another one of our client’s sites for another quick and effective solution to their free product dilemma. 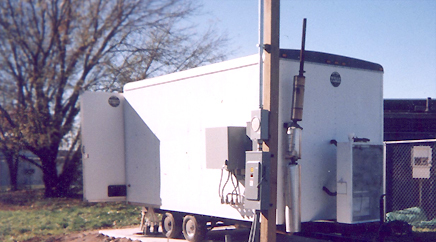 Moving the trailer from site to site saves our clients significant system installation costs.